Established in July, 2004, Beijing Bayi Space LCD Technology Co., Ltd. is a high-tech enterprise which is professional engaged in display using liquid crystal materials, polymer dispersed liquid crystal (PDLC) smart film, organic electroluminescent materials (OLED) display materials and R & D, production and sale of special purpose liquid crystal materials. Beijing Bayi Space LCD Technology Co., Ltd. has advanced and complete analytical instrument and production equipment used for liquid crystal material research at home and abroad, and has international advanced liquid crystal display material technology. The company has developed a variety of high-grade liquid crystal materials with leading domestic level, and has independently developed the global unique panel analysis system to analyze product defects, also can help panel manufacturers analyze defective products in the production process and provide guidance advice. 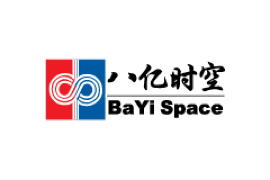 Beijing Bayi Space LCD Technology Co., Ltd. has more than 70 patents of domestic and international inventions. The company''s products cover all kinds of liquid crystal materials used in from mobile phone, notebook and computer monitor to large-sized LCD TV, and the product performance index reaches the advanced level of international similar products.